The significant additional costs of hybrid powertrains are still the greatest barrier to their wide market penetration. An international consortium, made up of twenty-five manufacturers, suppliers and research facilities now aims to tackle this challenge from two sides within the EU-funded research project Ecochamps. Standardisation and modularisation of hybrid components across vehicle classes should decrease costs. Simultaneously, the new hybrid vehicles' amortisation period should be further reduced through increased fuel savings. 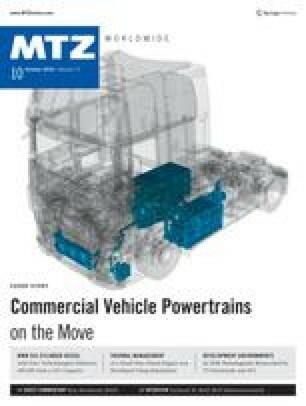 The author's special thanks goes to the project partners DAF, Ricardo, Fraunhofer IVI, Daimler, Uniresearch, Iveco, Renault, CRF and MAN, which have provided substantial results for this article. Furthermore, they want to thank all project partners for their outstanding collaboration within the scope of the Ecochamps project. The research leading to these results has received funding from the European Community's Horizon 2020 Programme under grant agreement No. 653468 (Ecochamps).